Just wanted to wish my lovely readers a lovely Valentine’s Day! Hoping your day today (and everyday as well) is filled with love. This year my husband surprised me with one of the most amazing gifts I’ve ever received, a box of Venus Et Fleur Eternity roses. They’re supposed to last an entire year! I’m over the moon as my husband is usually one for giving practical gifts. For Christmas he bought us a new vaccuum the iRobot Roomba 980 as a gift for us, lol. For those wondering if it’s worth the extra price over the cheaper models, hands down yes it is. There are a lot of rose box options you can pick from Venus Et Fleur. They have round and square box options and you can pick colors of roses for each arrangement – unfortunately the round ones are only available for delivery in NY (at least right now). These are real roses from Ecuador – they appear to have a light coating sprayed on them which is what I suspect helps keep them alive for an entire year, but according to their site they use a special method to keep color and freshness. No water is needed – all you need to do is keep them away from direct sunlight and at normal temperatures (card says 60 to 70 degrees). I’m obsessed with the colors my husband picked out because when it comes to girly stuff he really has no idea about colors or things like that. A look at the roses – it’s a box of perfection! 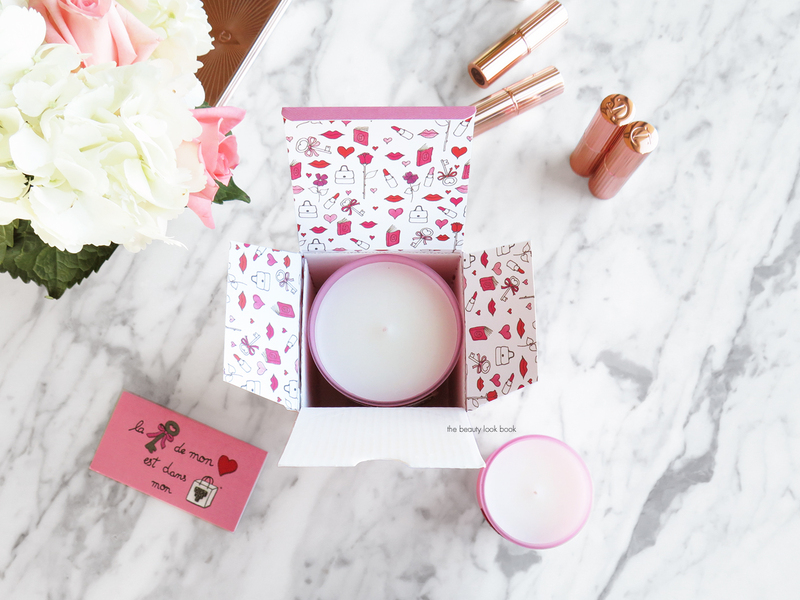 It’s a tradition for Diptyque to launch a special limited-edition rose-themed candle for Valentine’s Day every year and this year they’ve brought back Rosa Mundi. It comes in a Standard Candle ($68 for 6.5 oz), a Mini Candle ($35 for 2.4 oz) and a Scented Oval ($50). I look forward to each release for the whimsical designs of the jars as they create something beautiful and special every year. Rosa Mundi was last launched in 2014 in a white glass jar and pink tinted wax. 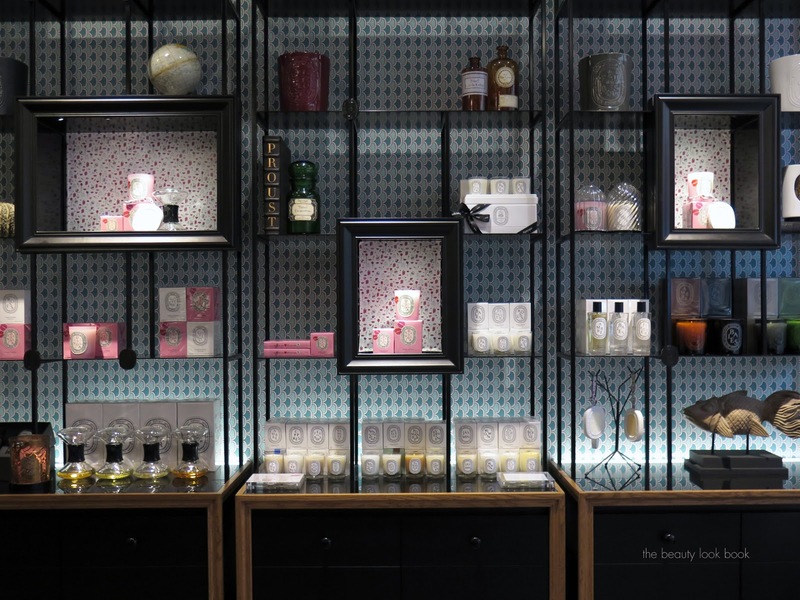 This particular year Diptyque partnered with Antoinette Poisson, a creator and restorer of domino paper. The design has a thick label sticker as the exterior. As one who is usually really skeptical about sticker labels in general I have to say that I was pleased with the quality and placement of the labels. They are placed firmly on the jar without any visible bubbles and the paper feels like a high quality thick texture almost like wall paper. Close up below of the mini versus standard. For those not familiar with Diptyque sizing you can see all the details like burn time and comparison for them in this post here. My personal candle care tips in this post here. Chloe Attitudes Book, Love x Style x Life by Garance Dore, Capture Your Style by Aimee Song, Large Ceramic Diptyque Figuier Candle recycled. For those who have been asking about our furniture, our couch is the Rochelle Style from Crate and Barrel. Coffee table style is no longer carried but similar ones are the Switch Coffee Table or the Parsons Small Rectangular Coffee Table. Bottom line love. By the time this post is going live I’ve already burned through a mini one. As always with these I recommend going with the bigger one even though they are more expensive. The recycle options are more versatile versus the minis. If you’re looking for a way to treat yourself either of these are great options. For those curious about the scented ovals – I’ve been gifted a few over the past years. They make lovely decorative pieces but the scent doesn’t last quite as long as I had hoped. They are also fragile – we have docile animals and they’ve knocked over quite a few things and the ovals did not survive the fall. If you have carpet they probably won’t break. I bought mine from Nordstrom. You can also find the Rosa Mundi at Neiman Marcus, Space NK, Barneys New York, Selfridges, and Diptyque. Have you tried this one yet? If not do you have a favorite rose candle? P.S. I’ve updated the comment system with Disqus so now you don’t have to re-log in each time you visit! 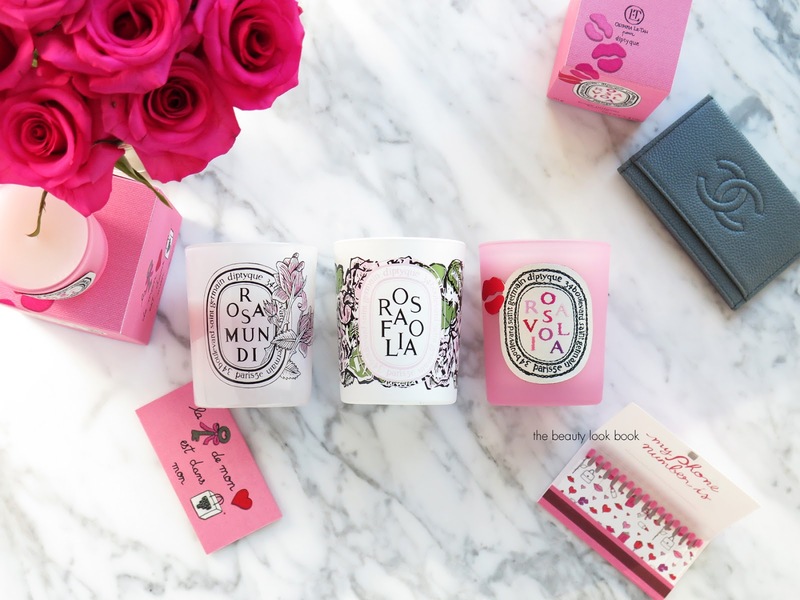 This spring Diptyque and French fashion designed Olympia Le-Tan have partnered to launch a special limited-edition candle for Valentine’s Day called Rosaviola ($35-$67). Each spring I look forward to the new rose-themed candles for the fun packaging designs and this year’s is the best one yet. 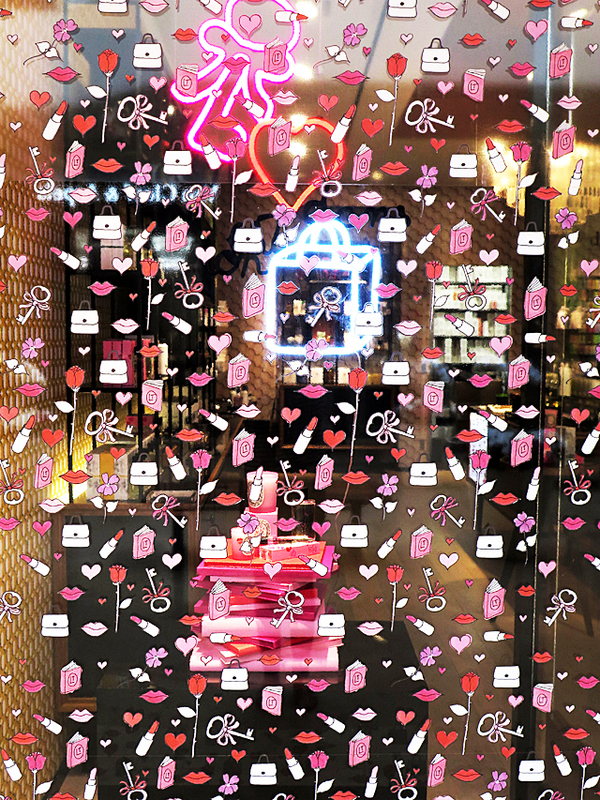 Everything about this launch is beautiful, feminine and romantic from the pink boxes, pink glass jar, canvas print sticker label, fun illustrations to the Diptyque emojis. There are the cutest little match cases that have a magnetic enclosure – inside the matches are covered with the Diptyque x Olympia Le-Tan prints. I found mine at the boutique at South Coast Plaza, check your local boutique to see if they still have any left. There are several items in the Valentine’s Day collection, several of the items have already sold out at a few places. I had to search quite a few retailers to find the mini candle – I think this is the first year they have offered the limited-edition rose as a small version. In addition, there are some Eau Rose items that have been repromoted but come with the Olympia Le-Tan packaging. I picked up multiples of the candles in both sizes. It smells of sweet roses and violets with really good throw. It’s a girly scent that I’ve been absolutely smitten with. It’s not too girly that it bothers my husband, but I don’t think he would choose to burn it in his office (he likes Mousses and Cuir). The packaging this year is a frosted baby pink glass jar with an embroidered canvas label that has the letters of Rosaviola embroidered in shades of pink, red and purple. There’s also a little canvas lip-shaped print on the candle itself. The canvas appears to be solid and the adhesive is pretty strong. That being said, if you recycle the candles and rinse the remnants of wax out with warm water and soap, you will need to be careful not to get the canvas wet to keep it pristine. A look at the box – I die for the prints inside! A look at the regular standard size versus the mini. The mini ones have sold out everywhere I looked in store, but you might be able to track one down. It appears to have sold out online everywhere except Space NK. I would say hands down if you’re debating which size to purchase, get the standard regular size. The mini is cute and nice to have, but in this case I think you will fall in love with the scent and the larger size will last longer (burn time is listed as approximately 60 hours while the small one is 20 hours, I haven’t actually timed the burn time on any candle though). A look at the past few years of spring launches from Diptyque, I’m still crying over the fact that I missed out on Rose Duet years ago. Rosamundi was launched a few times, shown below is the 2014 launch. Last year’s version for 2015 was Rosafolia. This year the spring 2016 version is Rosaviola. Bottom line, the collection is well worth a look. I can’t get over how incredibly cute the packaging is. 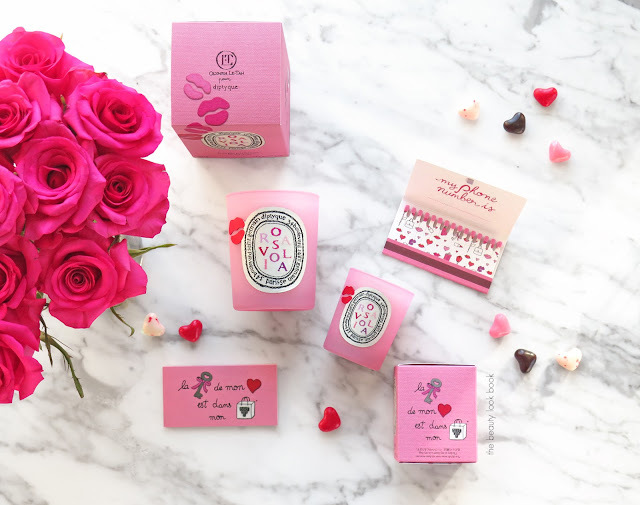 I wish Diptyque sold the matches as I would haven’t hesitated to purchase them to give out as gifts for my girl friends this Valentine’s Day. It’s nothing but pure love for this one. I know Diptyque candles come with a hefty price tag, but in my experience they are worth every penny. This one is an absolute must whether it’s to gift to a loved one or to treat yourself. You can recycle the jars after they finish burning for a wide variety of uses (brush holders, pen holders, flower vases etc.). Bottom line love and I don’t think you should miss this one. 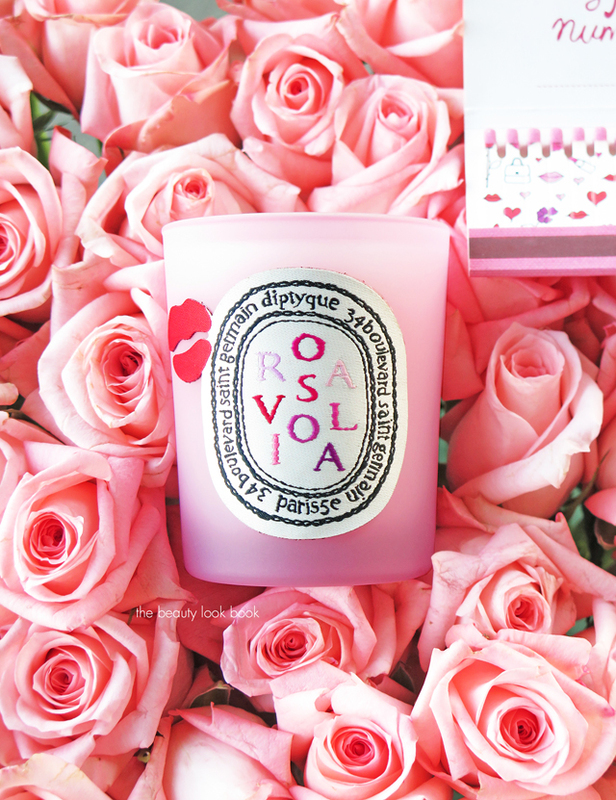 You can find the Diptyque Rosaviola candle at all Diptyque retailers now. It is limited-edition so I suggest you order sooner than later. The limited-edition ones always sell out each year. You can find it online at Diptyque, Nordstrom, Neiman Marcus, Barneys New York, Net-A-Porter, Space NK, Selfridges and Harrods. 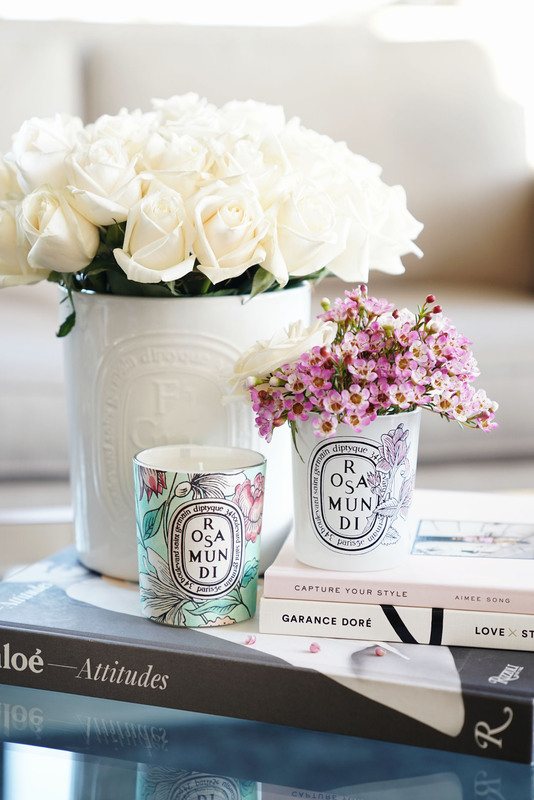 Have you checked out the new candle from Diptyque yet? If not, what’s your favorite one? I’m still in new year mode mentally but it’s already almost February! Valentine’s Day is just around the corner. 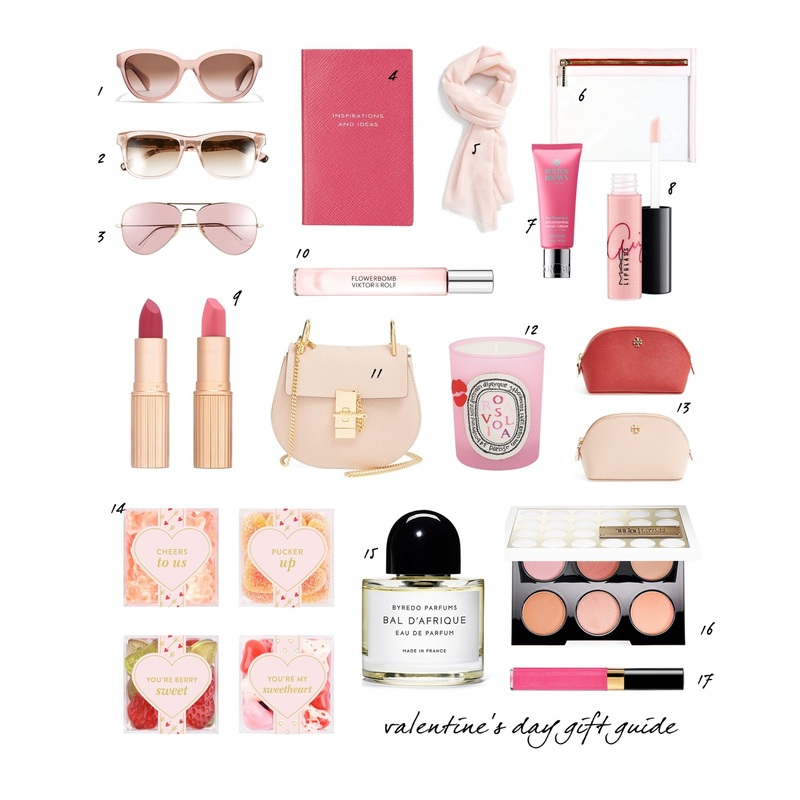 I’ve rounded up some Valentine’s Day gift inspiration whether you’re looking for something to hint for, treat yourself with or gift to girl friends. I’m a sucker for pink sunglasses and there are quite a few to choose from right now. J.Crew just launched a sunglass shop and I love the imagery on their site! Charlotte Tilbury just launched two new lipsticks that are exclusive to her site called Between the Sheets and Kiss Chase. I just ordered them and can’t wait to see them in person. They look so feminine and girly. 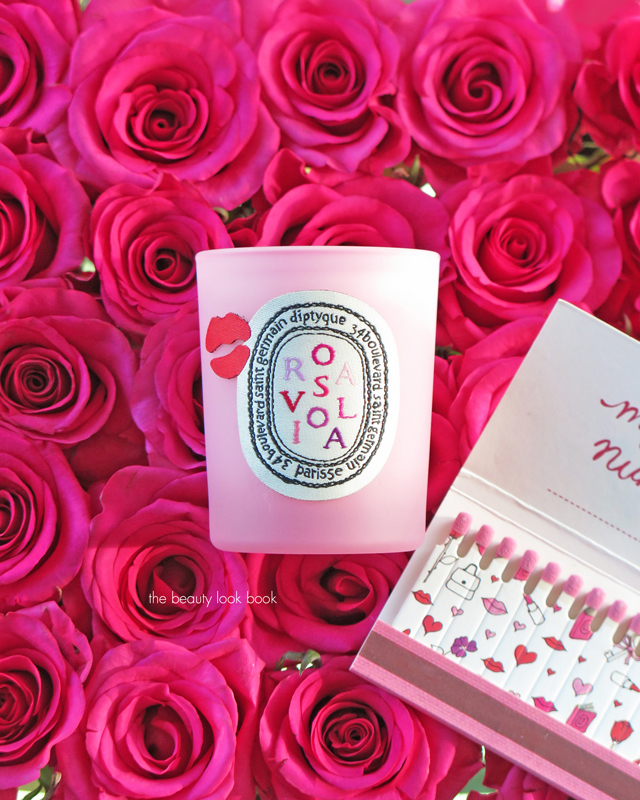 For spring Diptyque launched the Rosaviola candle and it’s to die for. How cute is the pink?! It comes in two sizes and unfortunately the small one has been so popular it has sold out almost everywhere (I couldn’t find it anywhere in stores near me). You can still find some online at Space NK (at least as of this morning). Full review soon. Hope you enjoy the roundup of some other ideas. I have this bag on my wishlist in the mini size. I told myself I would not buy anymore small bags because this one is just so pretty. We’ll see how long I can resist. Happy Valentine’s Day to all my lovely readers! Wishing you a wonderful weekend! 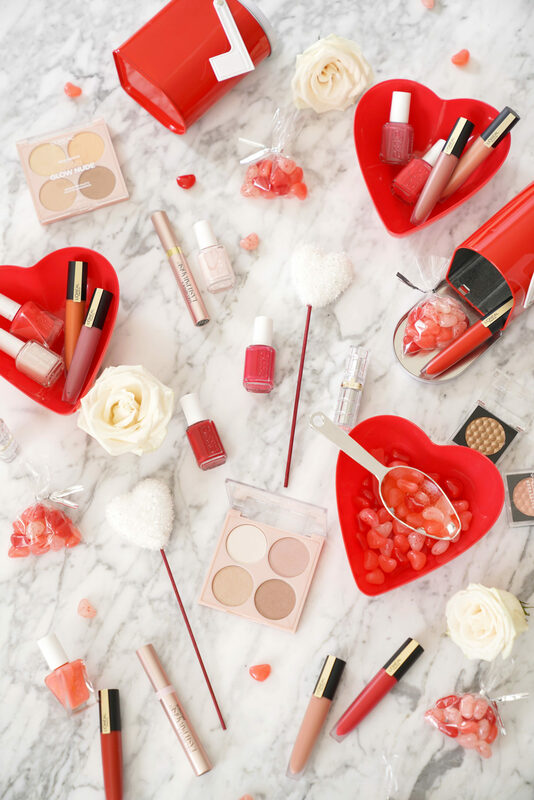 Some Valentine’s Day gift idea inspiration whether you are looking for a splurge for yourself or a gift for others. Some options for those who like soft pinks or dramatic reds, plus a few universally appealing items to suit all ages.